DEMO Africa, which can be described as a launch pad for African technology and trends, while also attracting over 2,000 people from around the globe to experience the finest African innovations, is holding in Morocco this time. Previous edition of the event has been held in Nairobi, Lagos and Johannesburg. In this event, selected startups gets to be introduced to an audience of investors, technology buyers, corporate acquirers, strategic partners and global media. The very right audience they need. Applications are now being rolled out for startups to launch at the 2018 edition of DEMO Africa in Morocco. The event would give entrepreneurs the chance to meet potential investors and buyers. This is in addition to providing mentorship and tools that are worth more than US$25,000. “These tools are meant to provide a soft landing for entrepreneurs building solutions using industry grade infrastructure,” said Stephen Ozoigbo, managing partner of the [email protected] initiative. Benefits from the DEMO Africa programme includes an eight-week mentorship programme and access to tools and services from Amazon Web Services and Microsoft. Startups selected as finalists will get the chance to join global stakeholder for the [email protected] innovation tour in Silicon Valley. This is as they continue their journey to globalising their solutions and gain great tools needed to expand. To select finalists, there would be a DEMO Africa tour that would take place across the continent. This tour would help identify very high potential start-ups that are worth it. Deadline for applications is set at June 30. This is after which a continental panel of judges will adjudicate the applications. 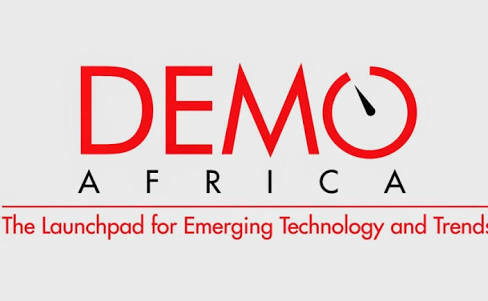 The finalists startups for the DEMO Africa programme would be announced at the end of July. Want to apply as a startup? Go HERE. Funding Opportunities 2018, DEMO Africa, Morocco, Startup pitch. permalink.